1 creative artist | This Blog Rules | Why go elsewhere? Artist Shi Jindian has taken sculpturing to a whole new level. He uses steel, or more precisely steel wires, to make spectacular three-dimensional objects. 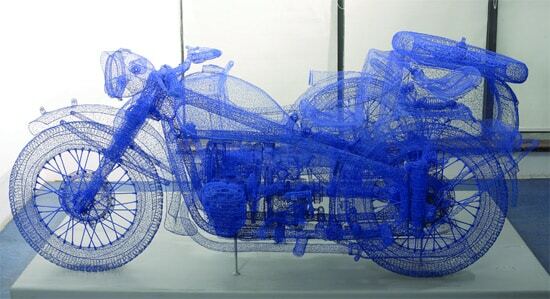 Some of his work is wire framed motorcycles, chairs and even skulls.